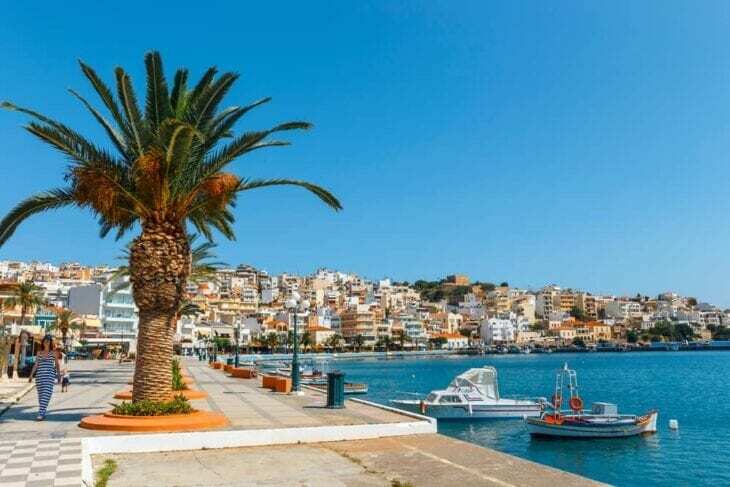 Past Agios Nikolaos towards Crete’s easternmost edge is beautiful Sitia, a small coastal town known for the friendliness of its inhabitants and the beauty of its surrounding region. Worthy as the destination is in itself, the drive you take to reach it is also gorgeous! This very small coastal town is an ideal destination for those who want to escape the more touristy areas to the west. This is Crete’s most unspoiled location, where life is not built around tourism. Tourists are warmly welcomed, and the facilities and services are excellent. 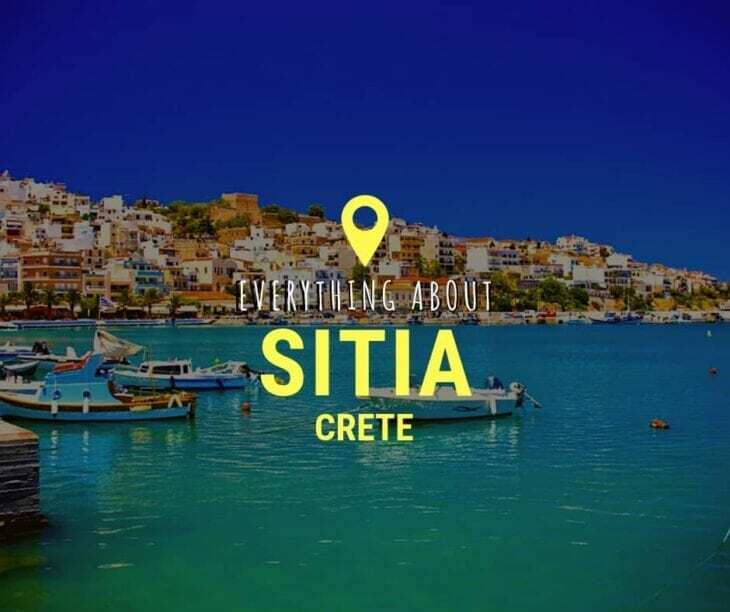 But in Sitia you will be better able to connect to the authentic local culture of Crete. Stunning natural attractions are near Sitia. Sitia is 130 km east of Heraklion — a two hour drive, and 70 km east of Agios Nikolaos- an hour and 20 minutes. This is prime location for visiting Vai, a protected palm forest and beach. Mt. Dikty is the nearest mountain. This is also an ideal starting point for visiting the Minoan palace of Zakros, in its remote location on Crete’s Southeastern edge. Sitia has its own small airport, but is also easily reached from Heraklion. Renting a car is a particularly great choice for getting to Sitia. The drive, and particularly the stretch from Agios Nikolaos to Sitia, is beautiful. Also, if you rent a car, you’ll have the flexibility you need to be able to explore the region and to visit the sights and beaches with ease. You can pick up your car at our car rental office located in the Heraklion Airport. If you are traveling during high season, it’s a good idea to book online in advance. If you’d like to take a bus, you will need to get to the KTEL station, which is near the harbor. There are frequent departures throughout the day. If you arrive in Heraklion by plane, you can take a bus from the airport directly to the KTEL Station. There are at the time of this writing four buses a day, and the trip takes about 3 hours, you can check schedules here. Such a small town, but such a long history! 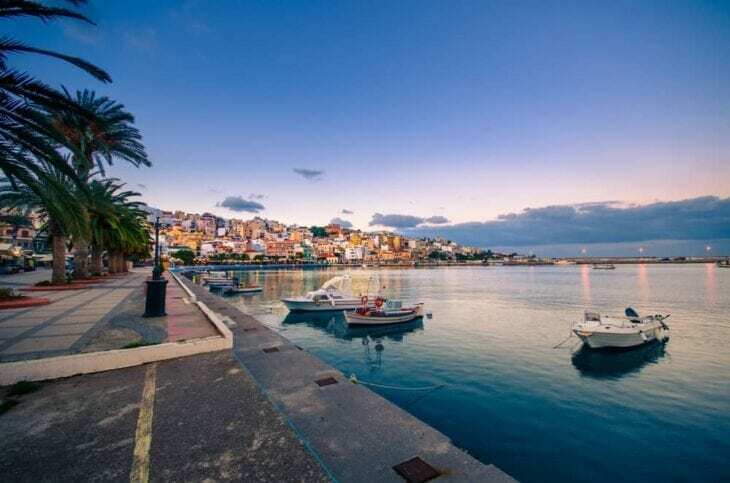 Sitia actually takes its name from Eteia, the ancient Minoan city. This may have been home to one of the seven sages of antiquity, Myson (some say he was from Laconia, in the Peloponnese). The city prospered throughout the ages due to trade with other ports throughout Greece and the Mediterranean. During the Byzantine era, it continued to prosper, becoming the seat of a Bishop. This was a favorite city of the Venetians during their rule, but an attack by the pirate Barbarossa and then a terrible earthquake changed the city’s fortunes. During the Ottoman Era, the Pasha Hussein Avni rebuilt the city, calling it Avniye, although of course the Greeks called it Sitia still. The only trace left of the Venetians in today’s Sitia is the Kazarma fortress. The name comes from “Casa de Arma”, and it’s now often the site of outdoor concerts and events. The view from here is stunning! Sitia has an Archaeological Museum where you can enjoy findings from many eras of the history of the surrounding area, including Bronze Age findings from the tiny island Mochlos (almost certainly formerly connected to the mainland by a narrow strip of land) and Zakros, one of the four Minoan Palace of Crete. The Paleokastro Kouros, a statue found in the excavation of Paleokastro, is another highlight. There are also exhibits from the Geometric Period (ca. 900 – 700 BC) so called because geometric patterns and motifs decorated the pottery. There are also exhibits from the Greco-Roman period. There is also a Folklore Museum, where you can see the high quality Cretan embroidery and weaving, and beautiful folkloric costumes. These are still a part of Crete’s traditional life, worn at village festivals where there are also folk dances and excellent music. The harbor of this charming town is the place to go for traditional fish tavernas. Make sure to try cretan specialties also. Raki, a distilled spirit of grape marc, is the drink of choice for many Cretans. It’s pure, but strong- take it easy at first! Don’t leave the Sitia region without visiting Vai, 24 km east of Sitia. This tremendous natural date palm forest, europe’s largest palm forest, has about 5,000 trees and has been here for over 2000 years. Legend has it that the forest sprung from the pits of dates eaten by the Phoenicians, who traded frequently with Ancient Greece. The beach is also spectacular, unspoiled with pure clear waters. Itanos Beach – sometimes called Ermoupoli – is just above Vai. It’s actually a series of three sandy coves with unspoiled sandy beaches. Kouremenos beach is just on the other side of the peninsula (that Vai is on) from Sitia. This long sandy beach is a great favorite with windsurfers from all over Europe. 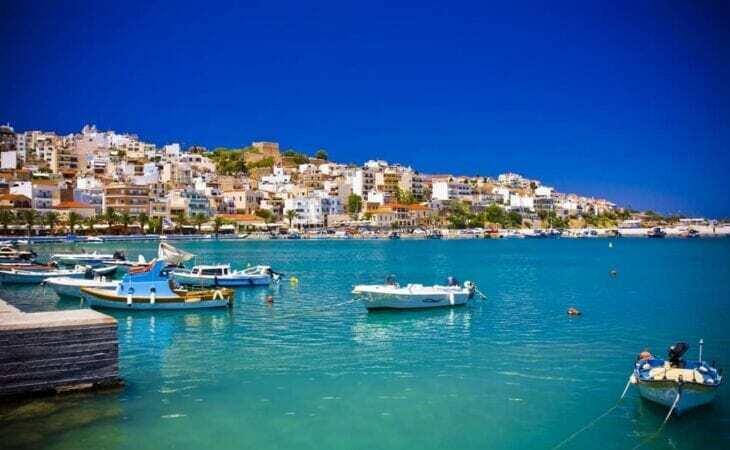 There is also a small fishing harbor and some seaside tavernas. Are you up for a little more adventure? A gorgeous 40 minute drive from Sitia through Paleokastro will take you to Chocklakies, a small village. 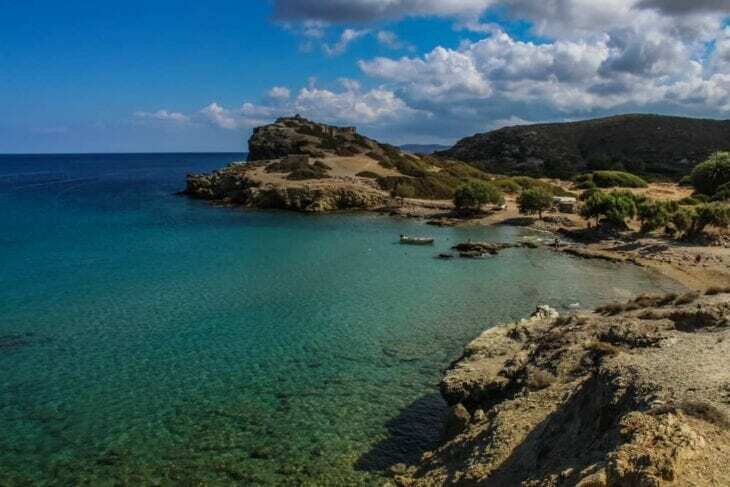 From here, an hour hike through a gorge takes you to one of Crete’s most remote and unspoiled beaches. Some of Crete’s more remote beaches may not always be serviced with cantinas and bars- always have some water and snacks with you as you explore. Besides the beaches and maybe trying out windsurfing, there are also beautiful inland destinations in this lovely corner of Crete. Topping the list is the fabulous Richtis Gorge. Beginning outside the village of Exo Mouliana, this gorge changes 350 m in altitude over three kilometers, for a not very demanding hike of three to four hours. The hike ends at Richtis Beach. A river runs through the gorge, even in summer, so the gorge is filled with flora and the scent of herbs. There is a pool fed by a waterfall to refresh yourself. 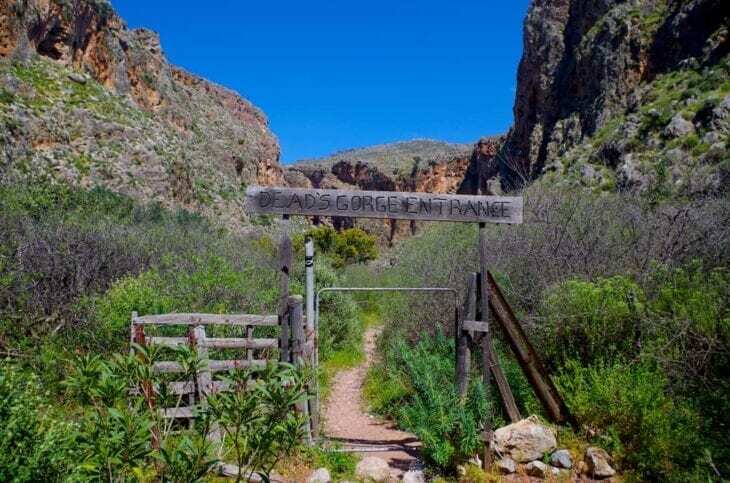 The entrance to the gorge is a half-hour’s drive west from Sitia. Another gorge for hiking, and for history, is Zakros. It’s other name is “The Gorge of the Dead” because the caves high on the cliffs were the final resting places for the Minoans. You can enter the Gorge at Ano Zakros, or, for a shorter hike, though an entrance 4 km away (consult google maps for details). From here, the hike is about 2 hours down to the beach and is steep at first. The end of the hike brings you close to the Palace of Zakros, our next tip. The Minoan Palace of Zakros is the least known of the four Minoan palaces excavated in Crete. It seems remort now, but its location made it the most important port for trade with the east and a place of great wealth. Most of the findings of Zakros are in the Archaeological Museums of Heraklion, Agios Nikolaos, and Sitia. Although the site was excavated earlier, the Palace was only in 1960 that the Archaeologist Nikolaos Platon. Never looted, it was found with its treasures intact, an exciting discovery. 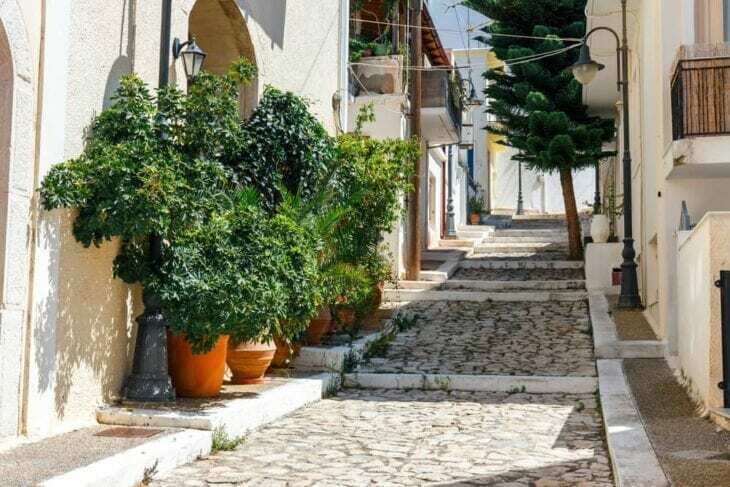 The village of Paleokastro is a 20-minute drive to the east. This traditional village is set amid olive groves and vineyards. It has fine tavernas and a classic “kafeneio” (coffee house) for a very pleasant break. Outside the village, on the way to the beaches, is Roussolakkos, an excavation of a significant Minoan settlement that was the only one to have survived intact under centuries of sediment. The Toplou Monastery, set in its stark landscape, is a dramatic site. This 15th-century monastery- whose name is taken from the Turkish word for “cannonball” as the monastery had many. Like many monasteries, the monks were crucial both in the uprising against the Turks and during the German occupation during the Second World War. There is a collection of Byzantine Icons and manuscripts, and excellent frescos. The Toplou Monastery is a 20 minute drive to the east from Sitia. Have you been to this part of Crete? We hope that you find plenty of travel inspiration in our guide to everything you need to know about Sitia.